We sleep in separate rooms. That has been our norm for over two years. It is preservation for us both. But I didn’t want to leave his side that Monday night. They worked him in at the lung specialist Monday afternoon. A chest x-ray and evaluation later, we were on our way home with tests ordered for the next day. He had blood streaks in the substance he regularly coughs up; pink, growing pinker and more prominent as the day progressed. I didn’t want to take him home. I was afraid. He didn’t even fight using a wheelchair to get him from the car to the doctor’s office and back again. His breathing had never been so poor. It was clear he was very, very sick. We finally tried out a duck call that required little to no breath to sound and placed it within convenient reach of his bed. I vowed my next purchase would be a baby monitor so I can listen closely to his breathing – or him calling for me in the night. I woke with a fitful start that Tuesday morning. Tom was already awake and up. After going into the bathroom to expel some coughed up substance, he called me. “Honey. I need to show you something.” One-third the size of my fist, a glob of bright red blood glared at me from the toilet. Bright. Red. Blood. The color bounced off back of my brain and reverberated with the words, “Danger! Danger!” I didn’t hesitate. The brief ride to the ER was deafeningly quiet. He could barely breathe at all. His 24/7 oxygen, usually at 2 liters/minute, had been cranked up to 4 liters/minute for two days just to help him maintain some kind of respiration. He couldn’t even talk without needing gulps of oxygen. In and out. In and out. I breathed with him…but it didn’t help. A CT with contrast was ordered. It was not a pulmonary embolism. It was double pneumonia. Frankly, that was a welcome diagnosis. It meant Tom’s disease had not progressed to a point where this was the new norm (our greatest fear). It was treatable and we were in a place where great care would be taken to get that done. He came home six days later. Now five days post hospitalization he is still raspy but feels so much better he’s almost giddy. He can walk across the room with his oxygen at 2 liters/minute without his O2 level dropping into the 70s. It still drops but not so low. We have come away from this harrowing experience with some valuable lessons. 1) Tom’s steps are ordered by the Lord. We must take great care to guard against infection, particularly during this cold and flu season. Because of this, his ordered steps will be more and more confined to home. 2) Tom has taken new ownership of his condition. He is researching how to cooperate with the limits of his lung diseases—a big step. 3) We are committed to a heart-healthy diet. As the body is deprived of the essential oxygen it needs to keep organs alive and functioning, there is deterioration. Decline is inevitable. 4) My steps are also ordered by the Lord. I am never alone. I know this in my rational thinking but not when my gut is being ripped out as my husband of almost 48 years struggles for his next life-giving breath. Throughout this most recent experience, we were so lovingly held. My sister network went immediately to prayer and, as frequent updates were sent of Tom’s condition, more responses of thoughts and prayers were communicated. You know who you are. You were, and are, a life-line to me—to us. Jesus is teaching me so much about His love – how to give it but, more importantly for me in this season, how to receive it. The sisters of Red Tent hold one another through goodness and terror—feast and famine. It is wonderful to know that I am held. And you, my Red Tent sister, are held as well. Christine Browning is a lover of story—including her own. She loves to hear and longs to respond well to others’ stories. 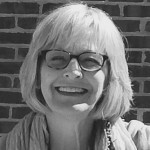 A late bloomer in the field of education, it is her absolute delight to teach at Milligan College in East Tennessee. She also counsels women who have experienced trauma and abuse. Christine is the mother of three adult children, three incredible grandchildren and has been married for 42+ years to her delightfully playful husband, Tom. Thank you for sharing, Christine, your own and Tom’s vulnerability. We live in a culture that discourages honest reporting of the ways our bodies break down–and the fears and anxieties that can accompany illness.. It is called dis-ease, and that is exactly what sickness does–disturbs our ease. My mantra in situations similar to yours is “God has him” (or her). and my scripture is “Fear is useless; what is needed is trust.” I hold you in prayer. Thank you for sharing and being vulnerable… and it is amazing what we find to be thankful for… in another place, double annomnia would be horrible… but to you all… it was a relief!! Blessings to you all as you continue to walk this journey!!! Wow… I just saw what auto correct did… yikes… that would be pneumonia!!!! The power and courage of your writing leaves ME breathless, panting after this fierce passion and purpose. Your steps are steps I can follow. I am humbled…and in tears. This fight toward the birthing of your separation pierces me with a glimpse of the Glory we seek to be birthed into. I am undone. I bow my head in wonder and gratitude as these tears slide down my face. Thank you. Thank you. May the severe mercy of this love you share bring you comfort and sustain you as you continue to walk toward this birth. I will be one in the choir loft adding my voice in prayer and celebration of this great journey. Thank you.